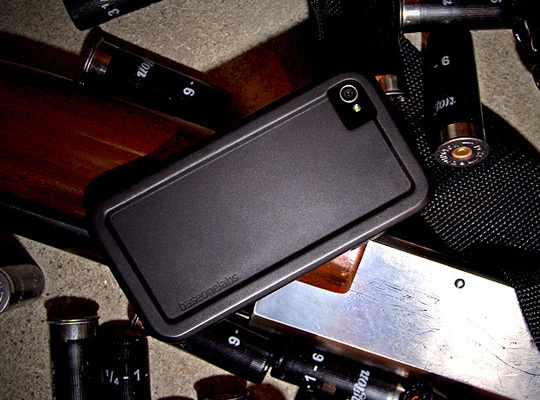 GunnerCase for the iPhone 4 and iPhone 4 S by baseonelabs. The design was inspired by recoil pads found on shotguns. When GunnerCase is dropped, the sidewalls are designed to collapse and distribute the force around the case. This saves your iPhone while keeping the case thin and effective. Lined throughout the inside of the GunnerCase are Air Cell pockets that were inspired by recoil pads found on shotguns and rifles. When dropped, the Air Cells collapse absorbing impacts, providing the same protection as a case twice as thick.